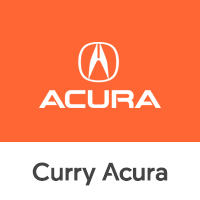 Curry Acura in Scarsdale, New York has the perfect new Acura for you! When you take a moment to look through our exciting new Acura inventory online, you’ll be able to investigate all our vehicles from top-to-bottom. But the best way to experience a new Acura is in the driver’s seat. Visit our Scarsdale, NY Acura dealership for an exhilarating test drive today! At Curry Acura, your complete satisfaction is always our #1 priority. That’s why we make it easy to work within your budget. Check out our offers & incentives page for manufacturer offers on all our most popular new Acura models. Finally, check out our payment calculator page where you can get an idea of what your monthly payments will be in advance. Have you ever pondered the question whether it’s best to lease vs. finance a new car or SUV? When you talk to the friendly finance pros at our Scarsdale, NY auto finance center, we have answers to all those questions and more. Call us now or fill out our secure auto finance application to get pre-approved for financing soon.